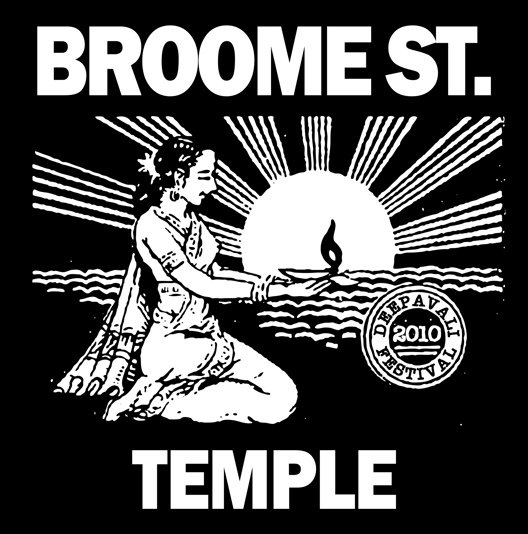 In case you were unaware, Soho has a Hindu temple and it’s name is the Broom Street Temple. This temple is also the yoga school known as Ashtanga Yoga New York. And, this Friday it will host a birthday puja in honor of the founder of the Ashtanga Yoga system of total benefit, Pattabhi Jois, or as many of you may know him, Guruji. Sri K Pattabhi Jois (Guruji) was born on the full moon day (purnima) of the month of June-July (Ashadha) in 1915. In the Hindu tradition, this day is called Guru Purnima, named so because the sage Vyaas, the compiler of the Vedas and author of the Mahabharata, was born on this day. Guru Purnima is sacred to Hindus and Buddhists alike, and is the traditional day for honoring one’s Guru. It also marks the beginning of chaturmas, the four months of the rainy season when sannyasis (wandering ascetics) would halt in one location to give teachings, blessings and advice to the public before commencing their wandering again. For householders, it is a time of engaging in renewal of spiritual practice, practicing austerities (such as increased repetition of mantra), giving charity, and listening to spiritual discourses.